Can Wetzlar's New Mirrorless Shooter Stand Up? Had it been announced by any other camera company in June of 2015, the Leica Q ($4,250) would have been a flagship camera: a compact body, full-frame sensor, optically stabilized and autofocusing 28mm f/1.7 lens, a huge electronic viewfinder and enough processing power to run an Apollo mission. Leica isn’t like any other camera company though. Over their 102-year history of making cameras, they’ve developed something of a mythological status. Elliott Erwitt, Robert Capa, Henri Cartier-Bresson, Walker Evans and countless other legends of the art shot with Leica cameras (though they probably would’ve taken great photos regardless); seeing one on the street is like seeing a Ferrari, for camera geeks, and their image quality has always been some of the best in the world, even after they switched to digital cameras. Fanboys and admirers alike will even frequently refer to some intangible, viscerally pleasing “Leica-effect” produced by the German company’s rangefinder lenses. 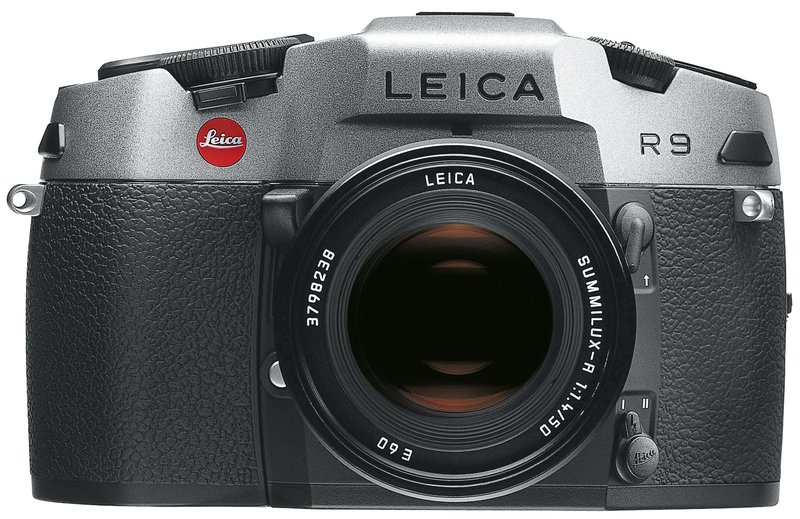 But for all the legendary success of their top-tier rangefinder cameras (the M series), Leica tends to have a surprisingly iffy hit rate once they try and deviate from their century-old formula. They tried and failed to tap into the 35mm SLR camera market for 43 years (mostly in partnership with Minolta) before finally giving up and ceding victory to Canon and Nikon with the blob-like R9 in 2007. Similarly, the Minilux series of film point-and-shoots (also by Minolta) were plagued with the world’s worst viewfinder and an inability to keep up with cheaper competition. The transition to digital didn’t help much, and their point-and-shoots (produced by Panasonic) were never quite as good as their Leica badge (and price tag) would’ve had you believe. Even the famed M series suffered with the the transition to digital; you just have to look at the resale value of the first digital M, the M8, to see that they didn’t really figure out how to design a digital camera from the ground up until the excellent M (Type 240) in 2012. And it’s probably best not to dive into the Leica T.
Suffice to say that there was more than a hint of skepticism when I packed the Leica Q for our tour of Wyoming. This was an entirely Leica-built camera with a confidence-inspiring $4,250 MSRP and some incredibly impressive specs to back it up, but was it going to live up to the almost-unreachable M series legend, or end up in the pile of Leicas-that-could-have-been? My God does the Leica Q exceed expectations. The Q feels closer to the pure, extraordinary Leica family tree than any camera they’ve released that doesn’t have an “M” badge on it. The classically Leica traits — the beautiful styling, the purely functional design and the fit and finish — are all present and accounted for in the Q. The highest compliment that I could possibly pay it on this front is that unlike so many red-dotted cameras before it, the Q feels like a Leica. The camera’s menu system is bang-on, the huge viewfinder is fantastic, the way the camera switches into macro mode is a thing of beauty, the manual focus is better than every mirrorless camera on the market, the autofocus is insanely fast, and even the way that the 3-inch touch screen is integrated in the user experience — there’s basically no situation where you’re forced to use the touch functions of the screen — feels completely in line with the evolutionary ethos of Leica’s flagships. The photos above were recorded as JPEGs and lightly edited in Adobe Camera Raw. All Metadata is intact. The user interface stuff is all well and good but the Q would still fall short if the image quality wasn’t there. Luckily, the 24MP full-frame CMOS sensor and 28mm f/1.7 Summilux deliver. The JPEGs rendered in camera are contrasty, vibrant and sharp right out of the camera, while RAW files take a bit of massaging but end up absolutely fantastic. As far as image quality goes, the Q is easily on par with its M series siblings and miles ahead of competition like the Sony RX1r and the Fujifilm X100T. In low light the camera performs like a champ, and paired with a Leica SF24D flash, it’s one of the most fun cameras I’ve used to shoot candid photos when the sun goes down. The one downside with the Q — and it’s a big one — is the focal length of the fixed lens. I can understand the idea of a fixed-lens camera for simplicity and cost-effectiveness, but 28mm on a full-frame sensor is just too wide for most everyday shooting (for a frame of reference, it’s about the same focal length as your phone’s camera). Leica told me that the choice of a 28mm lens hinged mostly on cost, size and desired aperture; there was simply no way to shoehorn a fast 35 into the Q and keep the price far enough from the M. And really the focal length and lack of interchangeable lenses is the only thing keeping me ditching my DSLR and preaching the gospel of Q. If you enjoy shooting at 28mm then here’s your perfect camera, but try as I might I just can’t fully embrace the super-wide field of view. Despite this singular (though admittedly big) flaw, it was a tough day when it came time to send the Q back after spending a month with it. I had carried it around nearly every waking minute and snapped thousands of photos that just felt special. And it’s that feeling, that classically Leica essence that’s more important than any score I could give it out of 100. Even though it’s one of the more impressive cameras I’ve used in a long time, the Leica Q has managed a far more impressive coup: it’s made me excited for the entire Leica brand. If they can do this, just imagine what comes next.